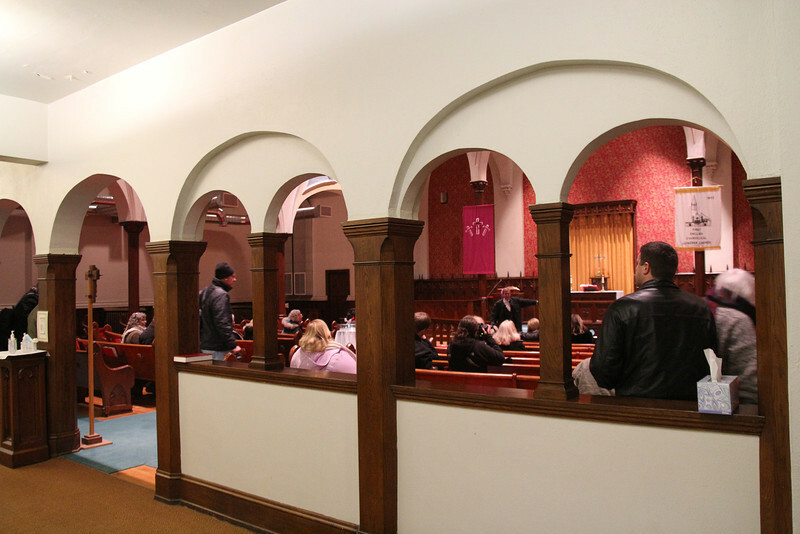 This is the interior of First Lutheran. They are a force in the community and cater to those who need help. The signs on the door are clear - no drugs, alcohol, or guns on the property and nobody who is using. They provide shelter for the homeless, help people dress for interviews, and provide assistance to help train people for jobs. It is not a large congregation and a portion of it comes from outside the area.